Washington Square Press, 9780743442541, 288pp. Easy should be living a contented life, with steady work as senior head custodian of Sojourner Truth High School, and a loving family. But happiness is as elusive for Easy as smoke in shadows. Easy's the man folks seek out when they can't take their problems to anyone else. Trading favors and investigating cases of arson, murder, missing persons, and false accusations, it's hard to steer clear of trouble. 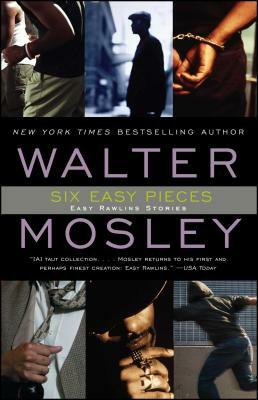 Easy walks the line in this must-have collection from bestselling, award-winning author Walter Mosley. The Plain Dealer (Cleveland) Mosley's a master. Expect some surprises in each story and in Easy's life, making Six Easy Pieces the perfect sum of its parts. USA Today [A] taut collection....Mosley returns to his first and perhaps finest creation: Easy Rawlins.